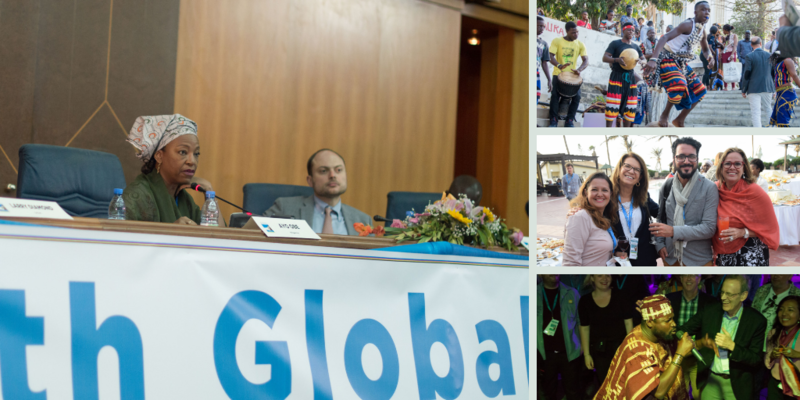 The Ninth Global Assembly of the World Movement for Democracy was held from May 6-9, 2018 in Dakar, Senegal under the theme, “Building Strategic Partnerships for Democratic Renewal.” Each day featured discussions on how to enhance or defend different facets of democracy, from combating disinformation through digital innovation to encouraging broader dialogue through art activism. 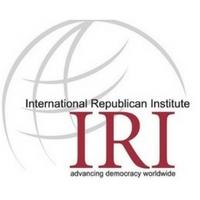 The report highlights timely discussions concerning democracy around the world today, as well as strategies to overcome obstacles shared by activists, donors, government representatives, and other democrats. Read about the discussions that took place in high-level plenary sessions and breakout workshops led by grassroots organizations, and watch highlights of the conversations in our new interactive report! 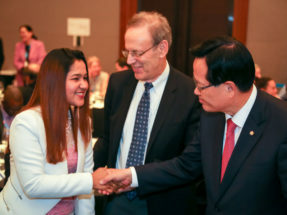 Building on the World Movement’s 2015 Statement, entitled “A Call for Democratic Renewal,” the Ninth Global Assembly of the World Movement for Democracy served as an ideal forum for democrats around the world to exchange their understanding of today’s challenges and their potential solutions, and build new strategic partnerships with others. With vast diversity in participants’ expertise, experiences, and countries of origin, the Dakar Assembly provided a space which uniquely enriched discussions and the exchange of experiences among democracy activists and practitioners. By bringing leaders from various sectors of society, such as civil society, political society, the business community, labor unions, think tanks, and religious and cultural leaders, the Assembly hoped to effectively facilitate strategic partnership building among the participants. Today's challenges to democracy need a multifaceted response. Civil society is a key player in confronting and overcoming these challenges; however, it needs to work with other sectors of society more closely and effectively to integrate democratic values in society and build strong and sustainable institutions for democratic governance. The Assembly not only offered a timely self-assessment opportunity for civil society in a time of “democratic retreat,” but also helped civil society imagine and build new relationships with others to advocate for a common goal: a democratic society. Senegal was the perfect venue to discuss strategies to overcome challenges to democracy. While many consider democracy to be in retreat today, Senegal is an emerging democracy that is providing democratic leadership in the African region. Vibrant public space for debate and political engagement has kept Senegal’s democracy thriving. Thus, it was an inspirational experience for the Assembly participants to learn from Senegal’s experience in getting citizens engaged in politics, keeping those in power accountable, maintaining public space for debate, and engaging with religious leaders in fighting extremism. Attending the Ninth Assembly is by invitation only. If you have any questions about the Assembly, please email at assembly@ned.org. The World Movement for Democracy partnered with Senegalese civil society and business community to ensure that we integrated local and regional perspectives into our program. The organizations also helped us promote the event, facilitate outreach to the broader civil society and other communities in Senegal, and helped us secure local support for the Assembly. 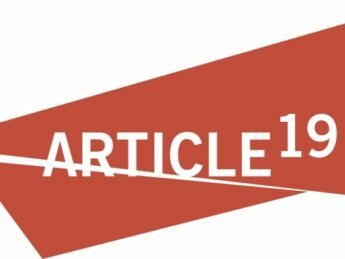 ARTICLE 19 works for a world where people around the globe can freely express themselves and actively engage in public life without fear of ramifications. They do this by working regionally and internationally to close the implementation gap between law and practice. They promote media freedom, increase access to information, protect journalists and human rights defenders, fight the shrinking of civic space, and place human rights at the heart of developing digital spaces. 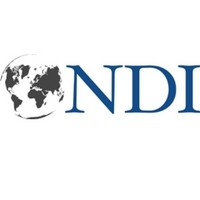 Enda Tiers Monde has worked for over thirty years to fight against the socio-economic marginalization of the underprivileged in the Global South and to promote sustainable development. They adopt a two-pronged approach to achieve these goals. First by working at the grassroots level to improve the living conditions of vulnerable populations both in rural and urban settings. Second, by actively engaging, lobbying, and advocating for those populations on the international stage. 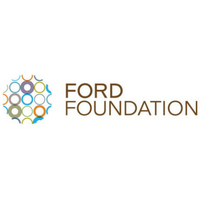 Created in 1993, Forum Civil’s mission is to promote participatory democracy including all its aspects: political, social, economic, and cultural. Composed of volunteer members without party affiliation - which is a prerequisite for being a member - Forum Civil and its partners seek to bring issues of transparency, good governance, and corruption at the forefront of public discussion in Senegal. Since 2000, it has served as Transparency International’s Senegalese Chapter. 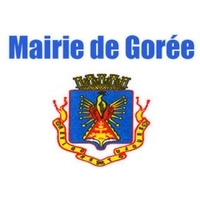 The Gorée Institute-Center for Democracy, Development and Culture in Africa was founded in 1992. 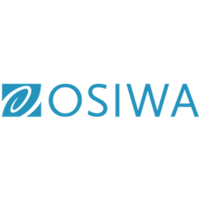 It is a Pan-African civil society organization, whose mission is to support peacebuilding initiatives, electoral reform, and arts and culture in Africa. The Institute operates in partnership with state and inter-state authorities, as well as with diverse members of civil society. Mouvement Citoyen is an organization which works to empower women and youth to take civic and political action in Senegal. They aim to build a new citizenship centered on the values ​​of democracy, responsibility, justice, transparency, and solidarity. In order to stimulate an active dynamic of grassroots citizenship, the Mouvement aims to expand into different neighborhoods and villages in the country. 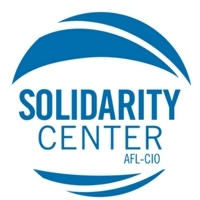 The citizen movement offers: training, a multipurpose center, a research unit. 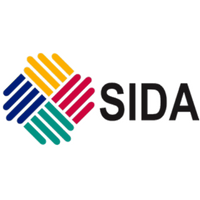 Partners West Africa - Senegal works with a network of global partners and change leaders to strengthen democratic institutions, promote sustainable development, and resolve conflict throughout the region. The team leads several projects that prevent terrorism, support capacity-building, promote access to justice, foster social entrepreneurship, and engage civil society in peace and governance. 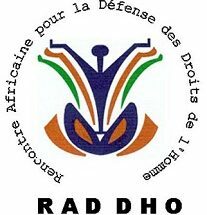 RADDHO is a non-governmental organization formed in 1990 that promotes, protects, and defends human rights in Senegal and in Africa. RADDHO specializes in women and children’s rights, as well as on issues of refugees, torture, and anti-personnel mines. 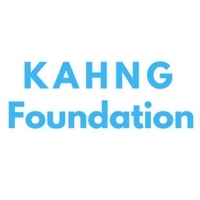 The organization facilitates meetings on human rights issues, conducts field investigations of human rights abuses, and participates in electoral monitoring in Senegal and the surrounding region. Since 1997, RADDHO has operated a counseling and legal services center for refugees and internally displaced persons (IDPs). 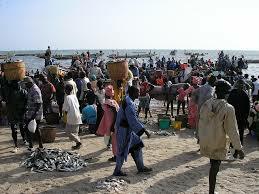 UNACOIS is Senegal’s National Union of Merchants. 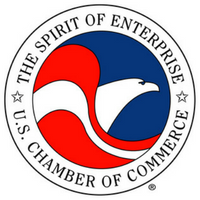 The organization, which serves and represents a diverse membership, seeks to initiate policy dialogue and propose concrete solutions to the problems faced by small and informal businesses. 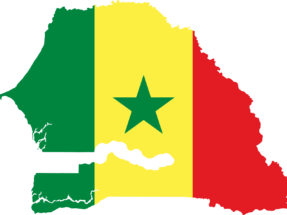 Senegal is widely viewed as one of the most democratically robust nations in Africa; the country enjoys a high degree of political stability and respect for the rule of law. Successful democratic transitions of power have contributed to Senegal’s established reputation as a country emboldened with a deep respect for the voice of the people. Today, Senegal’s democracy includes an established three branch governmental structure, as well as an equal diffusion of power through a system of checks and balances. Each of these branches work together to prevent one from garnering too much power; together, they are actively working to ensure constitutional rights are respected. The strength of the democratic institutions is due to its robust civil society, independent media, and support for human rights. Senegal is one of the few African countries that has yet to experience a period of authoritarianism or a successful coup. Instead, Senegalese citizens and its leadership have repeatedly chosen to strengthen democratic norms during political crises. In 1962, a failed coup attempt directed by the prime minister against the President Leopold Sedar Senghor led the president to dissolve the powers of the prime minister, thereby strengthening the presidential mandate. However, in the 1970s, the president curbed his own powers to reinstate the prime minister position and supported the development of a multi-party system. In 2012, Senegal’s democracy was once again tested when President Abdoulaye Wade amended the constitution to allow himself to run for a third term in office. President Wade claimed that his first term in office failed to qualify towards the limit. 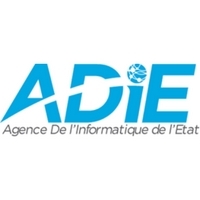 Responding to Wade’s undemocratic move, Senegalese civil society and the public organized in protests, and worked with newly formed civic coalitions to act as a unified front, spread accurate high-quality information, and collectively mobilized both local communities and media outlets. As a result, President Wade lost his re-election bid and peacefully conceded his position to the current President Macky Sall. Throughout Senegal, freedom of speech is widely celebrated, and viewed as one of the most important constitutional rights. As a result, the country enjoys a high degree of press freedom, as well as a healthy and flourishing media environment. Senegalese citizens are generally free to organize public protests without government suppression (Freedom House, 2017); however, members of the opposition were recently denied the right to protest. The Senegalese government is also actively addressing corruption by reactivating the Court of Repression of Illicit Enrichment and the establishment of the National Anti-Corruption Commission, both of which have increased the rate of investigations into allegations of state corruption (Freedom House, 2017). Senegalese culture values civil society and many people actively participate in civil society work. Civil society organizations (CSOs) have a long history in Senegal, with the earliest being founded in 1921 focusing on cultural and sports activities. In the 1990s, civil CSOs working on human rights, strengthening democratic institutions, and gender equality blossomed. The proliferation of these organizations were crucial for advocating and protecting the constitutional freedoms Senegal is known for today. CSOs are also free to associate with the international community, seek outside funding, and form coalitions without government interference. Despite the generally open environment, the arrest of Dakar Mayor Khalifa Sall in March 2017 and the contentious parliamentary elections in July 2017 have raised alarms among civil society. Mayor Sall was arrested on charges of corruption and embezzlement, charges that supporters say are politically motivated. Sall was slated to run against President Sall (no relation) in the presidential elections in 2019. He was also an opposition party candidate in the July parliamentary elections, which he participated in from jail. Overall, the elections were heavily criticized by the opposition for delayed voter ID disbursement and use of violence and tear gas against campaigners. Although these developments are disturbing, it should be reminded that the country’s leaders have historically respected the peaceful transition of power. Senegalese civil society and the public believe that Senegal will protect and continue consolidating its democracy. While considered one of the most successful African democracies, social and economic tensions are rising as high levels of unemployment build throughout Senegal. A longstanding Senegalese caste system based on ethnicity is deeply entrenched in modern culture (there are relics of the cast system but this is not outstanding). Youth unemployment runs rampant in certain regions, especially areas dependent on agricultural output for income. The agricultural industry has experienced many setbacks, as few government resources exist to ensure farmers are successful in their businesses. Poor management structures, crop failures, soil degradation, and rampant flooding also plague the agricultural industry. Typically, these difficult environmental challenges often exacerbate local tensions, as made evident with the recent Casamance Conflict. The Movement of Democratic Forces of Casamance (MDFC) forces have fought for independence for the independence of the Casamance region since 1982; their efforts are commonly referred to as the Casamance Conflict. Multiple ceasefires have been called; currently the Government and the rebels are negotiating under the assistance of the Sant’ Egidio community. 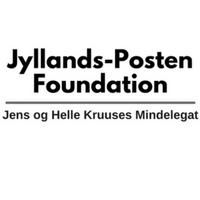 To enhance and deepen partnerships among civil society activists and with others in society. 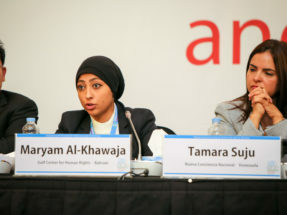 Under the theme “Building Strategic Partnerships for Democracy Renewal,” a majority of Assembly discussions focused on three main issues outlined in the World Movement’s Statement entitled “A Call for Democratic Renewal.” The first, defending democratic space, included strategic discussions on ways civil society, in partnership with others, can push back on resurgent authoritarianism, sustain its work despite increasingly severe threats, and strengthen democratic institutions. Discussions under strengthening democratic unity focused on building cross-sector and cross-generational partnerships to affirm the universality of core democratic values, strengthening pro-democratic regional and international networks, and deepening democratic cooperation among key institutions and countries. Finally, the growing threats of disinformation efforts, cyber attacks, and challenges to Internet governance was addressed in sessions under protecting integrity in the information space. Several participants were asked to give lightning talks to showcase their innovative strategies and highlight their strategic partnerships with others in confronting specific democracy issues. These inspirational lightning talks were then followed by facilitated discussions. A major part of the Assembly consisted of numerous topical result-oriented workshops. These workshops explored the challenges faced by democrats across countries and regions and focused discussions on exchanging practical strategies and methods that participants have used to address particular challenges. Most topical workshops were organized by invited civil society groups to ensure a high degree of participant “ownership” of the workshop agendas. Technology training sessions enabled participants to gain specific skills related to the use of technologies in civil society activism. These sessions covered a wide range of topics, such as digital security, open source data, and the protection of social media users. 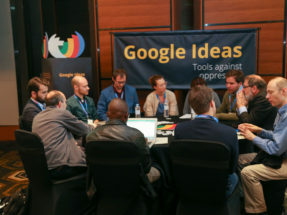 Through these discussions, the World Movement sought to connect civil society activists with leading technology companies to exchange ideas on how the companies’ products undermine or enhance democratic space. You may find our Code of Conduct here. WASHINGTON, DC – Building Strategic Partnerships for Democratic Renewal is the theme of the Ninth Global Assembly of the World Movement for Democracy, which will take place May 6 to 9, 2018 at the King Fahd Palace Hotel in Dakar, Senegal. The Honorable Minister Isatou Touray, the Minister of Trade, Industry, Regional Integration and Employment in The Gambia, will deliver the opening address on May 6 and Dr. Rachid Ghannouchi, the co-founder of Tunisia’s Ennahdha Party, will speak at the closing session on May 9. Building cross-sector and cross-generational partnerships to affirm the universality of core democratic values, strengthening pro-democratic regional and international networks. The threat of extremist violence. 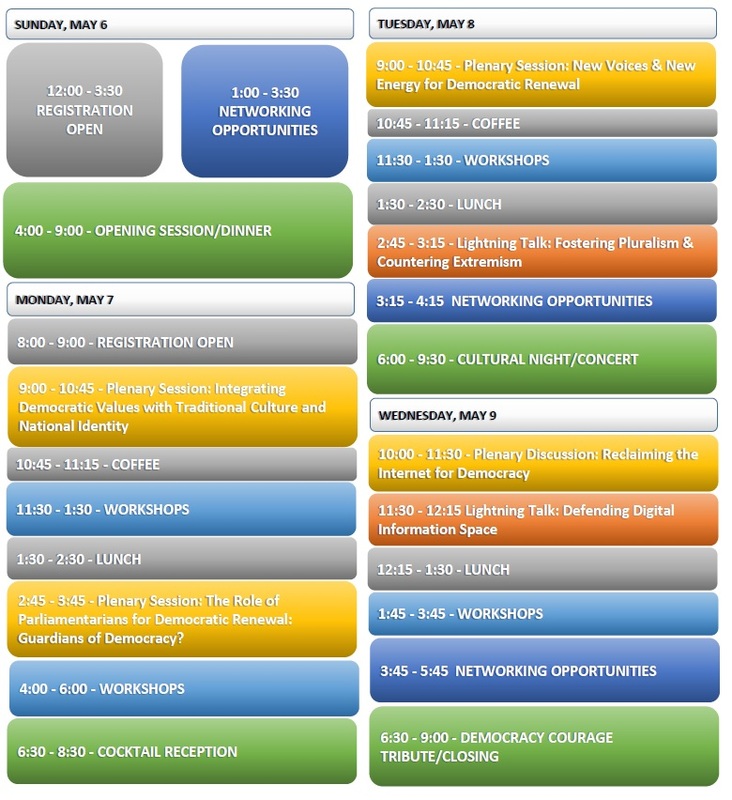 A full-list of Assembly workshops, plenary sessions, and featured speakers is available on the World Movement for Democracy website here. For more information regarding previous Assemblies, please click here. To organize the Assembly, the World Movement has partnered with Article 19-Senegal, Enda Tiers Monde, Forum Civil, the Gorée Institute, Partners West Africa, the African Assembly for the Defense of Human Rights (RADDHO), and Senegal’s National Union of Merchants (UNACOIS). 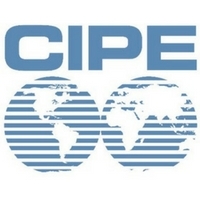 The World Movement was founded in 1999 to “strengthen democracy where it is weak, to reform and invigorate democracy even where it is longstanding, and to bolster pro-democracy groups in countries that have not yet entered into a process of democratic transition.” As a global network, the World Movement meets periodically to exchange ideas and experiences and to foster collaboration among democratic forces around the world. 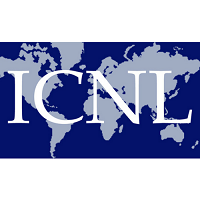 The World Movement is led by a distinguished international Steering Committee; the Washington, DC-based National Endowment for Democracy (NED) serves as its Secretariat. We will be adding new FAQs throughout the registration process. Please check back here if you have any questions. You may also write to us at assembly@ned.org. How can I participate in the Assembly? How can I participate in the Assembly? How do I register and confirm my participation in the Assembly? I am not sure of my schedule in May yet. When is the latest I can RSVP to my invitation? I was invited to the Assembly, but cannot attend. Can I forward the invitation to someone else in my organization? What information will I need to complete my registration? Do I have to use the registration site to register for the event? I registered for the Assembly, but now I cannot attend. How do I cancel? I have completed my registration, but now I want to make changes. Is this possible? How do I sign up for workshops and/or panel discussions? Do I need a visa to go to Senegal? If so, how do I obtain one? What if there is no Senegal embassy or consulate in my country? Does the World Movement cover costs to attend the Assembly? Will there be language interpretation at the Assembly? How do I become more involved in the World Movement beyond the Assembly? What is the World Movement for Democracy? I have additional questions. Whom should I contact? 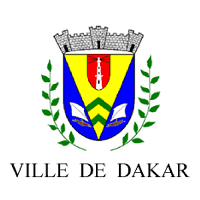 Where can I stay in Dakar? Participation is by invitation only. The World Movement for Democracy will begin issuing invitations in late November 2017. If you do not receive an invitation and are interested in attending, please mail assembly@ned.org. We will be happy to consider your interest in attending. Participation is by invitation only. If you have received an invitation, you can respond by clicking on the link that says "click here to respond to this invitation." You will then be taken to a website where you can register. Different information will be required of different invitees depending on their relationship with the World Movement for Democracy. All invitees will be asked to enter basic personal information into the registration site. Many invitees will be asked to enter travel, passport and lodging information into the registration site. The platform will include a number of optional fields participants can enter information into if they choose. The registration form should take no longer than 20 minutes to complete. If at all possible, please RSVP by the deadline indicated in your invitation letter. If you need additional time, email us at assembly@ned.org and we will do our best to accommodate your schedule for responding. No, unfortunately, all invitations are non-transferable. However, if you have a colleague interested in going in your place, please email us at assembly@ned.org with his or her name, title, organization and contact information. We may be able to issue an invitation to your replacement. What do I need to do after I complete my registration? Once an invitee has registered on the site, s/he will receive a confirmation email that will instruct her/him to return to the registration site to create an account. You must return to the site to create an account in order to sign up for specific Assembly workshops at a later date. Once a detailed Assembly agenda is finalized, you will be asked to return to the platform and select the workshops you wish to attend during the Assembly. Please note that seating is limited in workshops; selections will be taken on a first-come, first-served basis. All participants must register on the site for workshops in order to participate in the Assembly. Yes, in order to organize the Assembly most efficiently we are asking all participants to register on the official site. Unfortunately, we are unable to offer the registration site in languages other than English. If you do not speak English, please request the assistance of someone who does or write to us at assembly@ned.org. To cancel your registration, please email us at assembly@ned.org. Yes. You can update your information by logging into the account you created on the registration site. Please use the login credentials you created when you created an account on the registration portal. You may make changes until February 28, 2018. How do I sign up for workshops at the Assembly? Once the detailed agenda is finalized, you will receive an email asking you to return to the registration portal (through the account you created) to sign up for workshops at the Assembly. Please note that due to capacity limits in the workshop rooms, selections will be offered on a first-come, first-served basis. Please contact your nearest Senegalese embassy or consulate to inquire about visa requirements for citizens of your country. You may also visit this website, Senegal Ministry of Foreign Affairs, to determine if you need a visa. 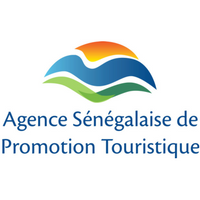 Participants who require a Senegal visa should begin the visa application process immediately after their ticket to Senegal has been booked. We can assist you in the process of obtaining a visa, if needed, but it is the participant’s responsibility to ensure a visa has been secured. What if there is no Senegalese embassy or consulate in my country? If you need assistance acquiring a visa because there is no Senegalese embassy or consulate in your country, please email the World Movement for Democracy at assembly@ned.org. Does the World Movement for Democracy cover the costs to attend the Assembly? Due to limited funds, the World Movement for Democracy is not able to cover the costs of all Assembly participants. If you need funding, we recommend contacting local embassies or donors with which you may have a relationship to see if they might provide assistance. Interpretation will be provided at the Assembly to the extent possible in Arabic, English, French, Russian, and Spanish. Please note that not all languages will be offered at every workshop. 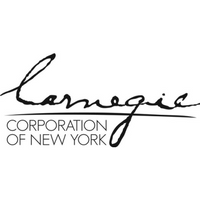 Once the Assembly agenda has been finalized, you will be instructed to return to sign-up for workshops and the available interpretation for workshops will be indicated on the registration site. The registration site will give you the option to create or update an individual, organization, or network profile for the World Movement for Democracy’s Global Participant Directory. We also encourage you to visit the World Movement for Democracy’s new website, which was launched in September 2017 to learn more. 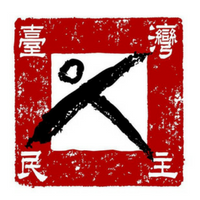 DemocracyNews is our monthly e-newsletter. 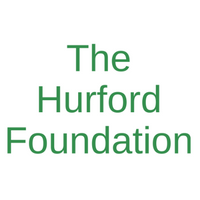 It contains updates and news stories from our participants, as well as announcements of opportunities to participate in events, competitions, and fellowships sponsored by various organizations. Click here to subscribe. If you have items you would like to consider including, please email us at world@ned.org. You can also stay updated on World Movement for Democracy activities and opportunities by following us on Facebook, Twitter and YouTube. 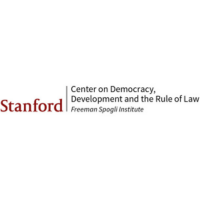 The World Movement for Democracy is a global network of activists, practitioners, scholars, policy makers, and funders who work to advance democracy. Learn more at the World Movement for Democracy’s new website. The Secretariat of the World Movement for Democracy is located at the Washington, DC-based National Endowment for Democracy (NED). 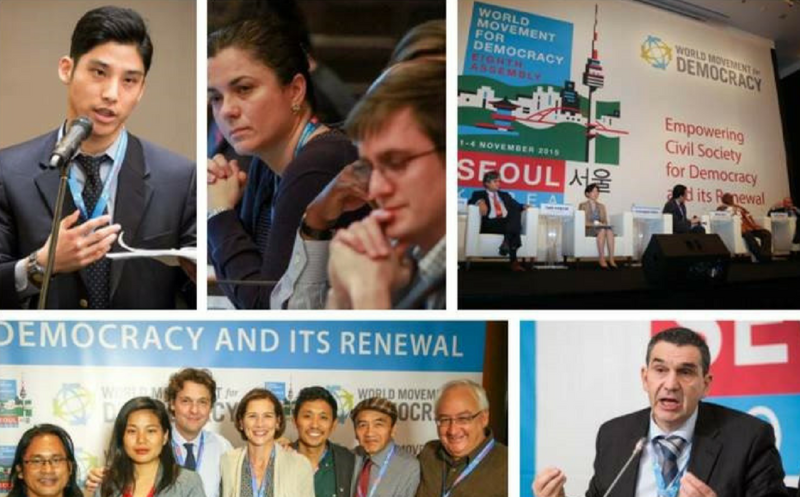 Visit our Take Action page for information on engaging with the World Movement for Democracy. 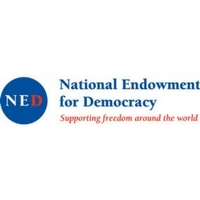 The National Endowment for Democracy, which serves as the Secretariat of the World Movement for Democracy, is a private, nonprofit foundation dedicated to the growth and strengthening of democratic institutions around the world. 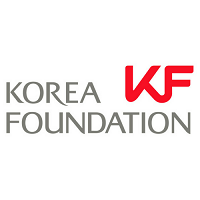 Each year, NED makes more than 1,000 grants to support the projects of non-governmental groups abroad who are working for democratic goals in more than 90 countries.Since its founding in 1983, the Endowment has remained on the leading edge of democratic struggles everywhere, while evolving into a multifaceted institution that is a hub of activity, resources, and intellectual exchange for activists, practitioners and scholars of democracy the world over. For all Assembly-related inquiries please email assembly@ned.org. For all other information related to the World Movement for Democracy, write to world@ned.org. The World Movement for Democracy’s Ninth Global Assembly presented a truly unique opportunity for many of the world’s foremost activists, practitioners, scholars, policy makers, business leaders, and funders to jointly explore new ways to advance democracy on a global level. Much of the networking that takes place at Assemblies happens organically as those in attendance interact during plenary discussions, workshops, and cultural events. To take full advantage of the opportunity the Assembly will provide, the World Movement also offered activities specifically designed to accelerate networking, information sharing, creative brainstorming, and building solidarity among participants. Networking activities encourage cooperation and collective action on issues of focus at Assemblies into the future. We hope that networking activities succeeded in fostering partnerships and imparted participants with new energy and enthusiasm even after returning to their communities. 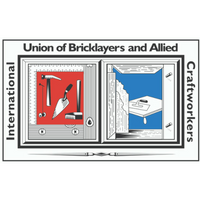 a joint letter writing campaign to promote solidarity, among others. We are currently developing new networking activities for the Tenth Global Assembly, and welcome your ideas. If you have ideas for activities to facilitate networking at the Assembly, or if you have specific outcomes you would like networking activities to achieve, we would love to hear from you. Please send us your ideas at: world@ned.org.